Today the first feature is a story by Nathan Ehrlich which first appeared on the Israel Story Podcast this past January. This is a story of healing, both physically and psychologically by two men from different countries who discovered the healing properties of psychedelic medicines. We then close with a short rap by Terence McKenna who explains what he believes to be the best method for smoking NN-DMT. We’d love for your organization to join us. Posted in Ayahuasca, Culture, DMT, Medicine, Nathan Ehrlich, Psychedelics, Shamanism, Terence McKenna (mp3). 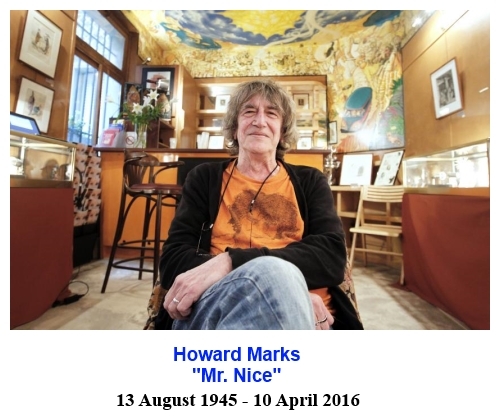 RIP Mr Howard Marks. I’m smoking on you today! May the legacy of Mr Nice live on forever.